A very good friend of Lenny's, Dave Mackay, has financed this project from the goodness of his heart. 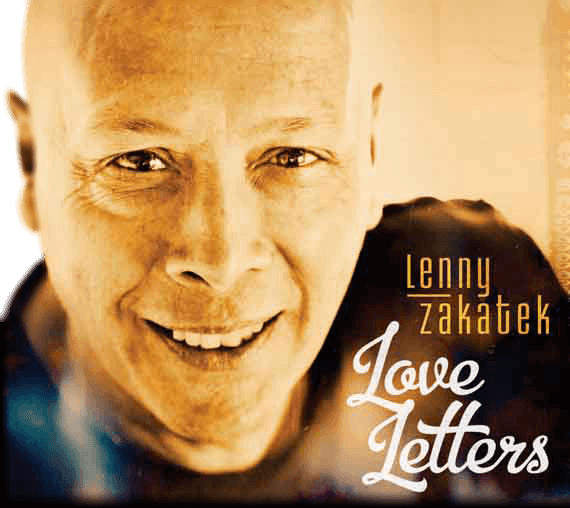 He has achieved amazing results and has had an overwhelming response from many artists including Lenny. I am working on a project hoping to raise money for Frankie and Annette Miller (and others in the same predicament) in London. As you may know, Frankie had a massive brain hemorrhage in 1995 and since then his wife has had to be wife and nurse. Recently because of government cut backs, the Respite Centre was closed effecting numerous families. About 18 months ago I was asked by Rod Stewart if Frankie had any "unreleased songs" I produced some hits for Frankie in the 80's. I called Annette and she sent me home demos he had recorded before the incident. I extracted his vocals which are stunning, and had them cleaned up, and set about recording tracks around his vocals. Now I have been sending these to various friends and artists who love Frankie songs and the response has been overwhelming. 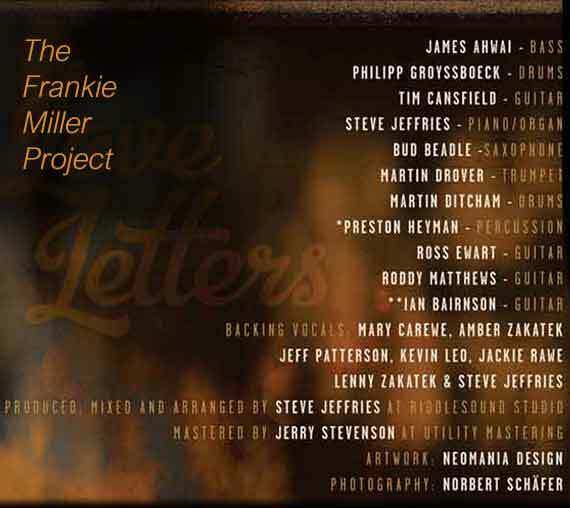 So far I have recorded duets with Frankie by Paul Carrack, Francis Rossi (status quo ), Bonnie Tyler, Kim Carnes, Kiki Dee, John Parr, Joe Walsh, Steve Cropper, Hotei (Japan) Lenny Zakatek, Kid Rock, Elton John, Delbert Mac Clinton, Rod Stewart. Currently recording vocals in America with Bob Seger. Hughie Lewis has agreed to cover one song the track has been sent. The artists and musicians have been so generous and their donating the royalties to this effort I believe will make a huge difference to Frankie and Annette, and also give them such a personal boost in what is a rather sad existence. There is also filmed documentary which you can DOWNLOAD here. For best quality please, DOWNLOAD first before playing.